Interesting facts about Hawaii will have you scratching your head in amazement! Whether you are planning a trip to Hawaii and want to find out Hawaii fun facts before making road trip plans, or you’re just curious, prepare to be entertained. Hawaii became a state in 1959 and is quite different from every other state in the union. Here's one of the simplest Hawaii fun facts to get you started: this state is made up entirely of islands so you can't really hop in the RV and drive from one end to the other during your road trip plans. There are a lot of interesting facts about Hawaii that you probably don't know right now. As you gear up your road trip plans for an exciting visit to this state, study up on the following Hawaii fun facts. Your trip will be enhanced by every bit of knowledge you learn and you will impress other visitors with all the interesting facts about Hawaii you already know. You will gain 2 or 5 hours once you cross into Hawaii, since they have their very own time zone. Hawaiian Standard Time is Pacific Standard Time minus 2 hours or Eastern Standard Time minus 5 hours. Hawaii doesn't participate in daylight savings time either, so no falling backward or springing forward. 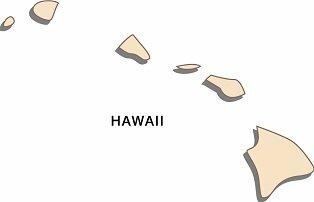 If you could stretch out a giant measuring tape you would find that Hawaii is the widest state in the country if you measure east to west. While you're measuring from east to west stop and feel the wind blowing in your face. The wind in this state always blows from the east to the west! The climate is one of the most favorable in the U.S. with an average temperature of 72 F in January and 82 F in July. Temperatures have gone as high as 96 F but it usually stays under 92 F.
Temperatures have known to go to 56 F but usually stay above 60 F.
Hawaii has a reputation as being all small town on the beach and flowers behind the ear, but it happens to contain one big city: Honolulu. This is the 11th largest metropolitan district in the entire country. There are a lot of things that are grown in America, but coffee is not very well represented unless you go to Hawaii. This is the only state that grows the crop, thanks to their climate. If you like pineapple on your pizza you may have some Hawaiian in your blood. About one out of every three pineapples sold throughout the world come from this state. If your focus was narrowed to this country alone, you could consider Hawaii the South Pole. To be more specifically, you could consider Ka Lae the South Pole since it is the most southern point of the country (18:54:49 N 155:41:00 W). What's even more interesting about this part of the state is the constant wind that blows at 27 knots per hour around the clock all year long. Interesting facts about Hawaii like this are useful because you would know never to move here if you get earaches easily! Speaking of wind, Oahu island is home of the largest windmill in the world. It has two 400 foot long blades that sit atop a tower with an amazing 20 stories. If you like all that explosive wind, you may like Kilauea volcano even more. It is the most active volcano known anywhere in the world. Do you like historical facts? Here's a good one for you about Hawaii: Kalaaupapa used to be a leper colony. Even better, it was run by someone named Father Damien. Those are all the interesting facts about Hawaii we have in store for you today, but there are some rather silly laws that the state still has on the books. If you know travel games that involve billboards, don't expect to play them when you travel to this state. There are very beautiful birds to be found in Hawaii, but you don't want to get on their bad side. It is illegal in this state to annoy a bird while visiting a public park. Now, that's animal rights for you! There are lots of things that can be done with your spare change in Hawaii, but placing it in your ear may get you jailed. Coins inside the ear equal a crime in this state. Speaking of ears, Hawaiian law is also dead set against tattoos placed behind the ears. It is also illegal to tattoo your eyelids unless of course a physician is there to guide the procedure. This is one of those Hawaii fun facts that everyone must know before they decide to move to this state: it is illegal to live here without owning a boat. 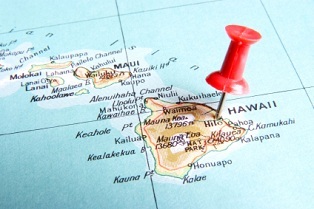 Did you get your fill of interesting facts about Hawaii? Or could you use a few more Hawaii fun facts to bring a smile to your face? We do have a couple more interesting facts about Hawaii before parting, starting with this one: Hawaii gave birth to Barack Obama (or so says his birth certificate). Hawaii was also the breeding ground for Duane "DOG" Chapman, Carrie Ann Inaba, Jim Nabors, Don Ho, Kelly Preston, and of course, Tom Selleck. Yes, Hawaii is definitely known for giving birth to American stars! The state is also known for its volcanoes and beaches. Of course, it is well known by history buffs for Pearl Harbor as well.